Give your mom the gift of living fresh every day with the FRIDGEFRESH® unit by Activated Oxygen Technologies. With all the different responsibilities and activities mom juggles every day, she deserves more than a special gift – it should also be unique – just as unique as she is. FRIDGEFRESH® is a one-of-a-kind gift because it is not something you will see in the department store everyday and chances are mom doesn’t have one. She will be thrilled to know you have thought outside of the box to give her a gift that is unique and will give back to her. FRIDGEFRESH® gives back in many ways – saved time grocery shopping means more time with family, saving money on groceries of up to $2,200 per year – meaning more money to buy the things she enjoys, and less food spoilage means less guilt she feels having to throw away the food she didn’t eat in a few days after buying it. The FRIDGEFRESH® unit prolongs the life of fruits and vegetables up to 7 to 10 days, which will surely be loved by your budget and health conscious mom. 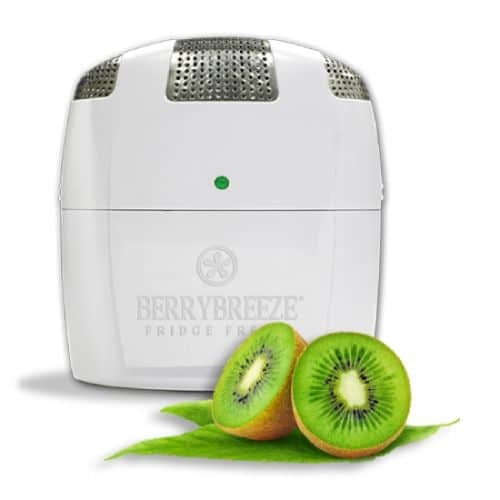 This amazing little machine extends the life of produce with a battery-operated, time-released oxygen technology called “activated oxygen,” which basically means it helps delay the spoilage of food and keeps bad bacteria from developing on the food, also removing unwanted fridge odors with a toxic-free solution. Our moms have done so much for us over the years, what better way to show her our love by gifting her a unique and thoughtful gift that will give back to her all year. Give the gift of freshness with FRIDGEFRESH®.